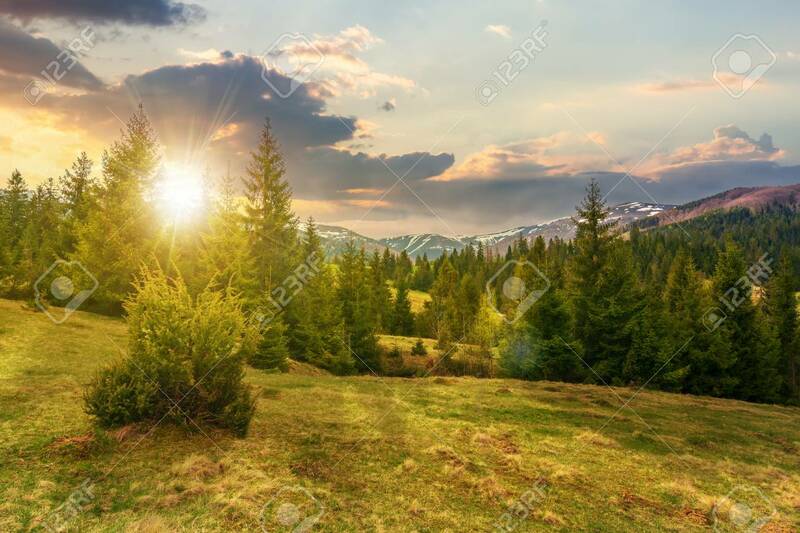 Beautiful Springtime Landscape In Mountains At Sunset In Evening.. Stock Photo, Picture And Royalty Free Image. Image 115465604. Stock Photo - beautiful springtime landscape in mountains at sunset in evening light. spruce forest on grassy hillside meadow. spots of snow on distant ridge. beautiful springtime landscape in mountains at sunset in evening light. spruce forest on grassy hillside meadow. spots of snow on distant ridge.